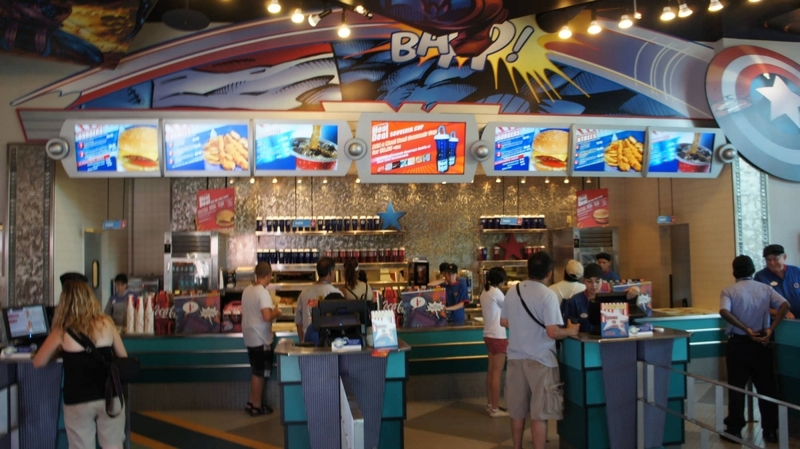 Quick-service restaurant serving burgers and sandwiches with a heaping side of superhero theming. Step into the pages of a Captain America comic book at this colorful quick-service restaurant. 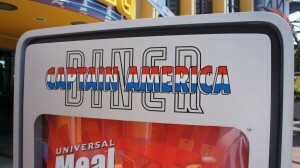 Captain America Diner also accepts Universal’s Dining Plan. Guests can now place their orders at Captain America Diner on their smart phones, using the Universal Orlando app. 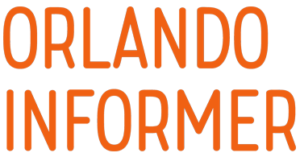 You can read all about the ins and outs of the process in our write-up. Entrees are between $6 and $9. 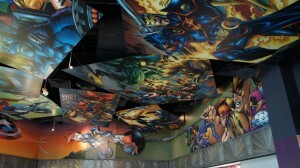 I enjoyed this diner. 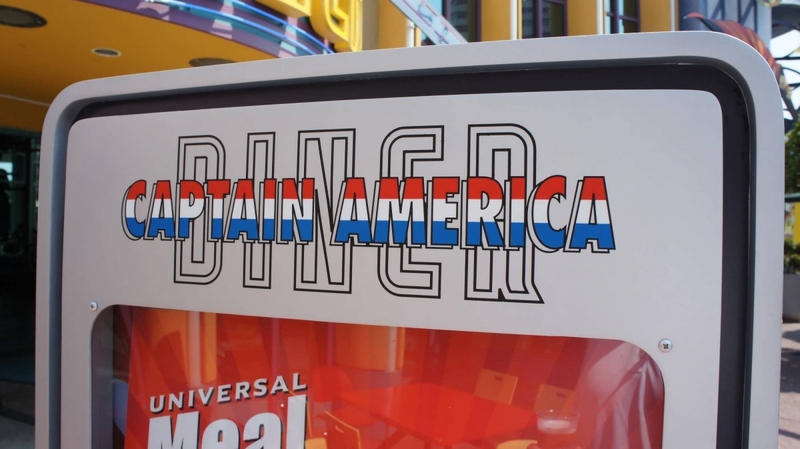 Since it's Captain America Diner, it's got all great standard American food that one should love, from chicken to cheeseburgers. I like that the menu isn't too overwhelming, but you still have choices. Also, being a comic book fan, I love eating in this place, so if you like comics or a proud American, check it out at least once, you'll be glad you did. 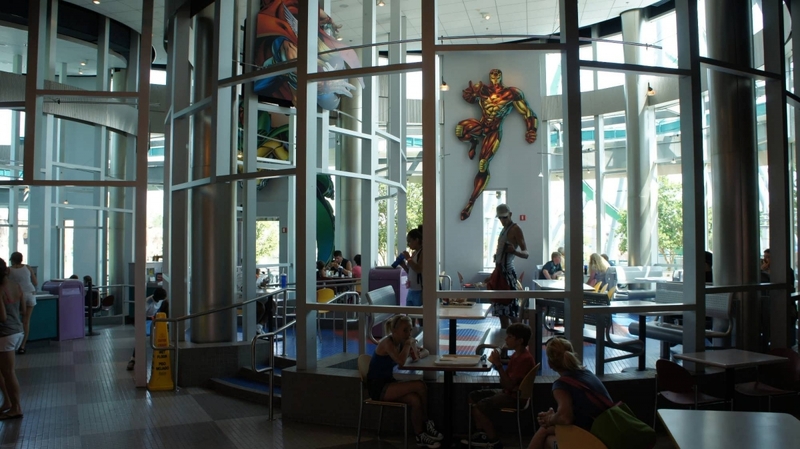 When I went out on a school field trip, I was walking in Marvel land and suddenly it started pouring like crazy, so we took cover under the closest thing we could - Captain America Diner. It was quite empty at first, but a few more people filled in due to the rain. 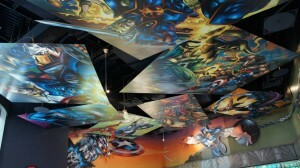 It was a bit boring... but I sure had a lot of time to appreciate the art put into the place. The menu looked great, however. The food here is good, but nothing to write home about. The ambiance is nice, but again, nothing super spectacular. 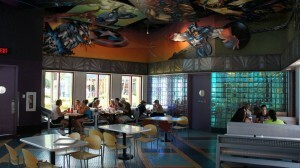 If you're looking for a place to re-fuel your engines and to get some okay food, I would recommend Captain America's. 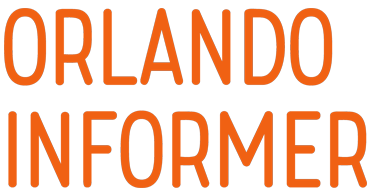 If you're looking for some food with a little more character, you might be better-suited looking elsewhere. 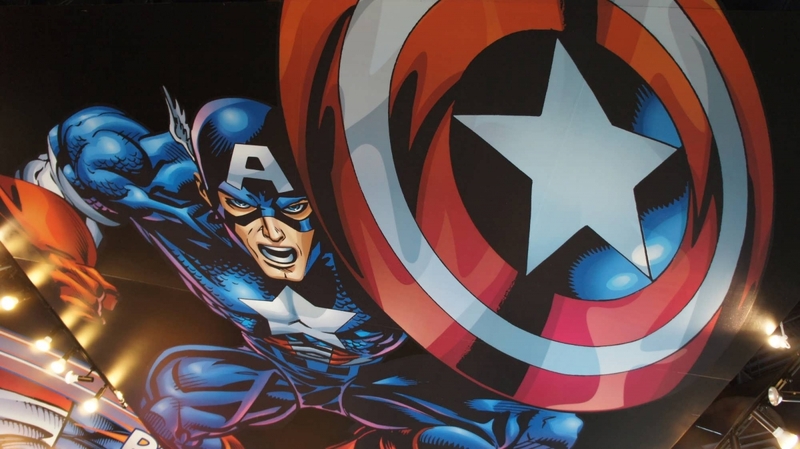 One of my favorite things about visiting Universal Orlando is that nothing is just 'ordinary' and The Captain America Diner is no exception. One of the standout features of this location is the absolutely stunning comic strip character and scenes all over this place, it is truly beautiful. 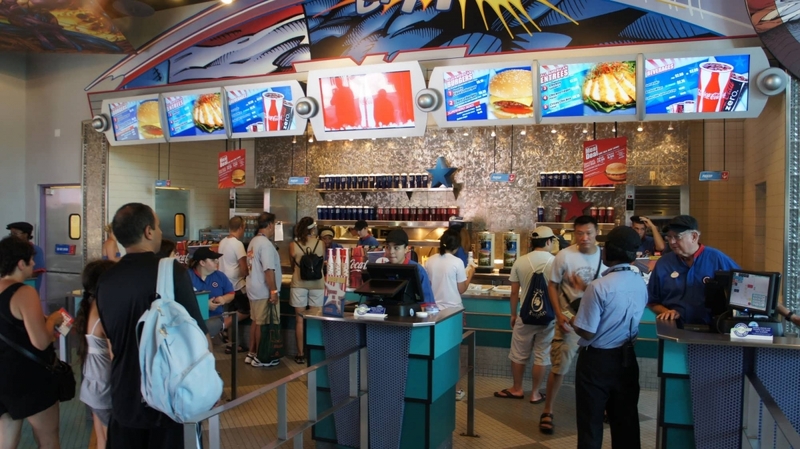 Burgers, Chicken, Salads and more...the standard Universal Orlando quick service fare but it's all more better by your surroundings. Speaking of surroundings, there is an outside dining area that provides one of the most incredible view of The Incredible Hulk coaster in action. 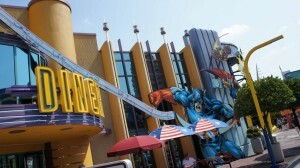 I strongly recommend this location to families and comic/coaster fans alike. 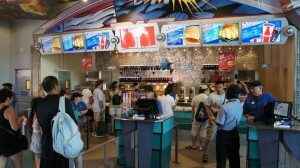 Last I visited the park with my family we purchased meal deals. Being close to the entrance of IOA and 2 of the major rides, The Hulk and Spiderman, the Captain American Diner was a convenient way to get our day of all you can eat meals started. Who doesn't love a good ol' cheeseburger? The staff was very courteous and polite. 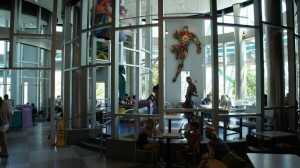 We are visiting Universal & IOA next week during our vacation. We will definitely be stopping in for a quick bite to eat. Can't wait!! !